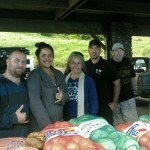 Parts of Maui and Moloka‘i experienced power outages on Sunday, Feb. 21, 2016, after high winds brought down trees and branches onto power lines, Maui Electric Company officials confirm. Kula: At approximately 11:07 a.m., about 1,685 customers in the Kula area lost power when trees contacted electrical lines along Kekaulike Highway. 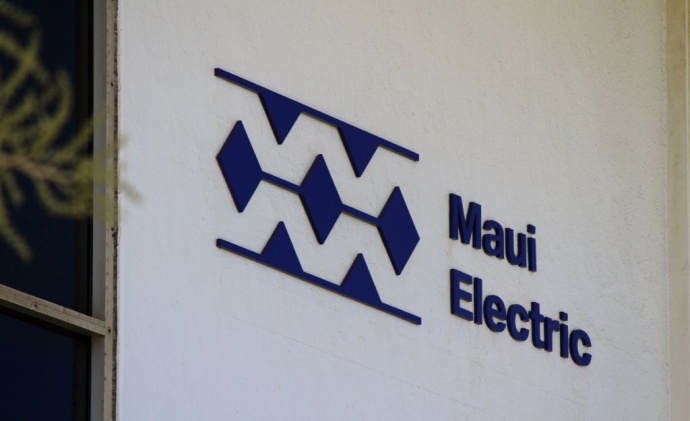 Power was restored to a majority of the customers by 12:32 p.m.
Kahului: Around 12:40 p.m. a palm frond fell onto power lines along Kaʻahumanu Avenue and caused about 1,330 customers in the Kahului area to lose power. 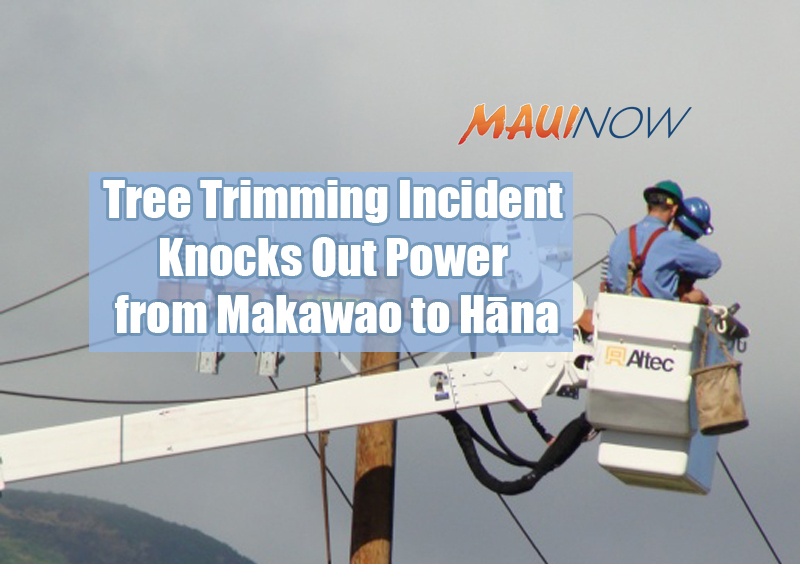 Maui Electric crews restored service to all customers by 1:29 p.m.
Molokaʻi: At around 1:27 p.m., approximately 583 customers in Kaunakakai area of Molokaʻi experienced an outage due to kiawe trees contacting electrical lines along Manila Place. 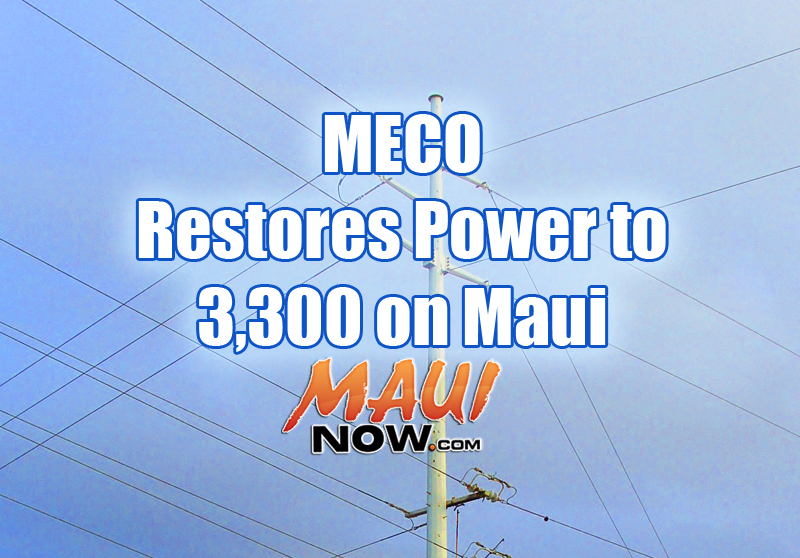 Electrical power was restored by 2:50 p.m.